Let no one tell you that 2019 was a boring year for smartphone tech or design. 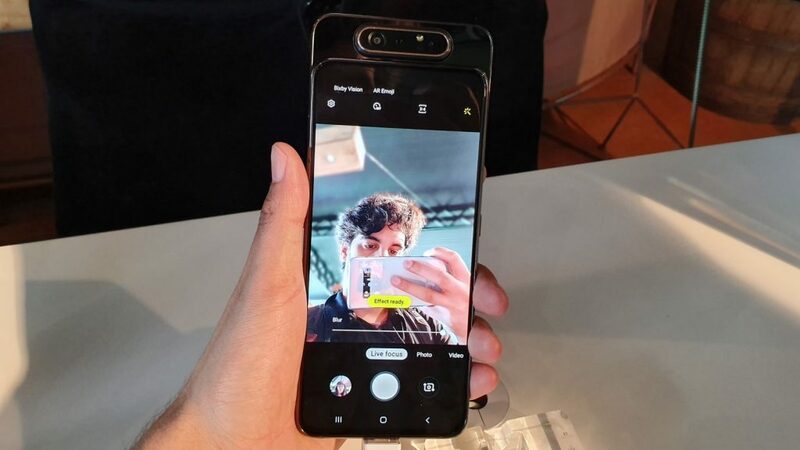 This year we’ve had the breakthrough of underscreen fingerprint scanners, an uptick in the war against bezels, a burst of motorised sliding cameras that sometimes also flip, and phone screens so large they should be offered with TV licenses. In the case of the Samsung Galaxy A80, all these features are packed into this single device. 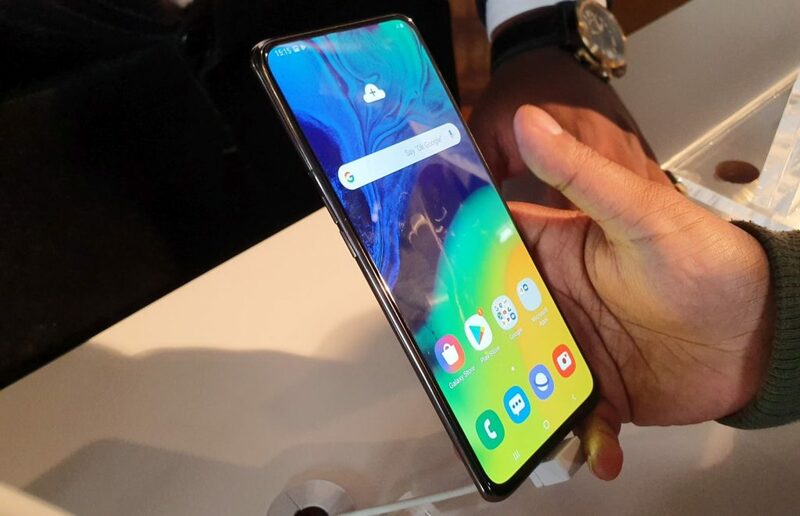 While I only got about 30 minutes with the phone at Samsung’s A series launch in Johannesburg on Wednesday, I did note a few things about the company’s new kitchen sink smartphone. For one, prototype devices have never been sexier. 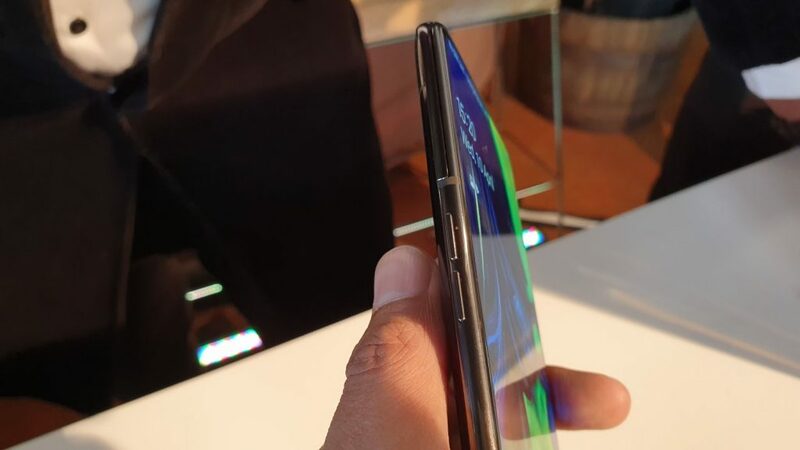 Foldable phones have reignited the smartphone design war, allowing companies to reimagine what were for years just boring glass sandwich after boring glass sandwich. For all intents and purposes, the Samsung Galaxy A80 doesn’t deviate from this form factor by much. On the surface, it’s still an enormous smartphone that dwarfs even the Samsung Galaxy S10 Plus and Huawei P30 Pro — two of the longer, larger phones you’ll find in 2019. The A80 packs a 6.7 inch sAMOLED screen which pops with colour but lacks pixel density with that rather low-for-its-size 2400×1080 resolution. That lack of pixels also exposes OneUI’s plentiful white space in menus and other settings screens,especially when you decrease the native font size. You’ll be hard pressed to span the screen with your thumb too. It’s difficult enough holding this phone with one hand, thanks to its top-heavy nature. That said, it is zippy. In an attempt to freak out OneUI, I darted quickly through a number of Samsung apps during my quick hands-on, and was impressed to find barely any hitches. The phone’s not running an Exynos chip, but a Qualcomm-made Snapdragon 730. Yeah, it too was announced yesterday by the American chip maker. It also sports 8GB of RAM, and 128GB of storage. It’s going to need the latter considering there’s no microSD card slot. Odd design decision by Samsung, considering you’re going to use this phone a lot for photography and videography (sorry, recording yourself parting in meme challenges). Speaking of which, the jewel on this phone’s sliding and flipping crown is that 48MP sensor with f/2.0 lens. It’s incredibly sharp, with selfies looking as good as rear camera snaps thanks to what many will call a camera gimmick. I think that’s a bit harsh, considering Samsung got away with just two cameras on this phone. The flippy mechanism itself may need some work though. On the device I handled, the rear camera housing had some notable scratches on its bottom edge. And upon closer inspection, it seems the camera module is actually “pushed” into the phone’s body when the slider retracts, dragging along the slider’s top edge. 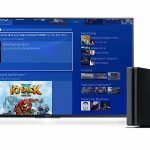 Prototype issues? Possibly. That said, the sliding mechanism is solid, standing up to pulls and pushes by the hand. The camera module can be moved by a push of the finger. I however daren’t see if I could flip them around manually though. There’s also a time-of-flight sensor which affords users bokeh effects and the promise of AR apps along the road. Samsung’s camera app defaults with a depth setting on, blurring the background of the image, but I found that edge detection was lacking. 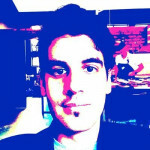 My hair was often deemed background data, transforming my face into a holy visage. It’s not as annoying as beauty mode and overly-smoothed skin on some devices, but it is a problem that’ll likely be remedied by the time this phone hits carriers. Finally, two more observations that need to be mentioned: there’s no Bixby button, and there’s no headphone jack. The latter is a curious decision by Samsung especially considering that the Galaxy A80 is a quintessential media consumption phone. But the lack of a Bixby button is quite ingenious. In a “why didn’t they do that before” moment, Samsung is now hiding the option to enable Bixby within the power button. You can read all about that here. 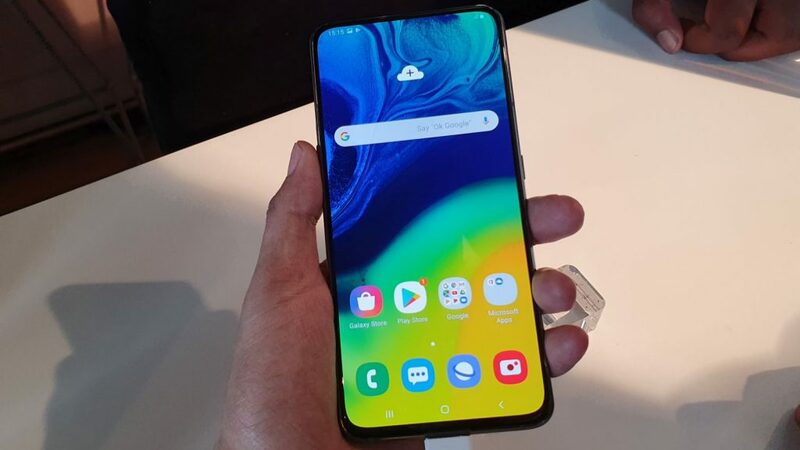 In short, the Samsung Galaxy A80 may be the Korean company’s most exciting phone this year. No, it’s not going to set the smartphone world alight like the iPhone did all those years ago, or foldable phones are doing right now. It’s rehashing and borrowing from a few of its older retro cool designs and some of its rivals. But what it will do is, hopefully, usher in a new genre of sub-flagship phones that manufacturers use as proving grounds for fledgling, and often quite mad, design decisions. While the A80 already has its local price of R12 999, it’s only expected in South Africa in June.